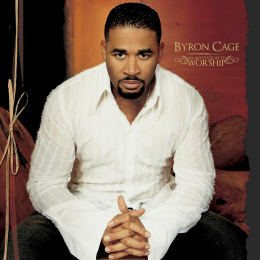 Byron Cage, aka The Prince of Praise, has been on the scene for more than a minute. 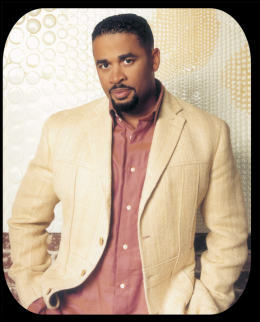 Over more than 18 years, as the worship leader of two of the nation's biggest churches, and with two previous releases on AIR Gospel before joining up with with Gospo Centric, Cage has birthed and grown praise & worship music into traditional Gospel churches where it had been previously unheard. Now on his second project for Gospo Centric, and as a solo artist, Cage is enjoying a deserved reputation as not only a gifted vocalist, but a respected songwriter as well. An Invitation to Worship, produced by PAJAM, is already gaining strength. Filled with material suitable for corporate worship, and tinged with that now-patented Cage signature sound, the album is another keeper. Now Byron Cage reveals some of the more obscure things about his life's story. Find out more about the artist in this Insider Interview. What is your favorite food? Chicken! What CDs are currently in your music player? : Mary Mary, Vashawn Mitchell, myself, Aretha Franklin, Hezekiah Walker and Shirley Horne Oh my goodness. I’m a big jazz fan. I love old jazz. What is your dream collaboration? I’ve collaborated on some level with just about everybody. That’s a hard one to answer. To work directly with Quincy Jones would blow me away though. I’ve met him on a couple of occasions and did a show with him for the opening of the Atlantis hotel, where he was directing the orchestra. But working hands on with him and sitting down in the studio with him would probably blow me away. What is your favorite movie? The Shawshank Redemption. That was an excellent movie. I also love The Color Purple. What is your most embarrassing moment? Ohhhhhh.... I can’t believe I’m getting ready to tell you this. I was singing at Greater Grace and I breathed in and went to breath out and mucus came out of my nose. While I was singing, it was all over my face. When I went to try to catch myself, I fell over the monitor. It’s quite a comical moment. I was embarrassed from falling and from having mucus all over my face. I had a sinus infection at the time. I was singing ‘Perfect Peace’ and after that, I fell. If you weren’t singing, what would you be doing? I’d probably be preaching full-time.